WorldPosta CloudDesktop Plugin for Outlook, Seamless Integration. 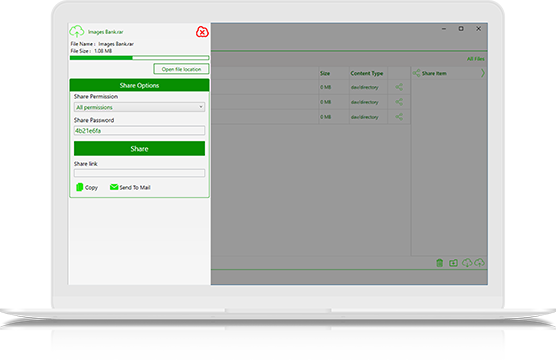 Easily send large files securely! WorldPosta CloudDesktop Plugin for outlook is designed to attach large files and share it with your team members. WorldPosta CloudDesktop Plugin allows you to send large files right from Outlook interface. Mail and Drive from one place. Send files with sizes more than 35MB, no Exchange server limitation. Browse your files right from the Plugin interface. Files are protected with a password. Set a password for the files you share and send it to your team members. Automatically detect files bigger than 35MB and transfer it up to the cloud. When you attach a file that is more than 35MB, the plugin will auto-detect it and transfer it into a link. 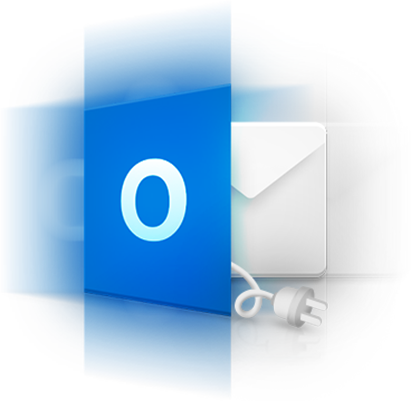 WorldPosta CloudDesktop Plugin is easy to use, you’ll find it in the Outlook Ribbon. No internal storage is consumed. CloudDesktop will never store data on your internal space, it’s all on the cloud. You can mount your for Google drive, Dropbox, and any WebDev supported platforms right to CloudDesktop interface. Grant permissions for the recipients to view, edit, delete, update, or share files. Files are scanned for viruses. Any sent of received files are scanned for viruses and unwanted content, the content will be blocked from uploading. Set expiration date for files. This feature allows you to set an expiration period for the files, then the users will not be able to download this file. Beautiful, clean, yet simple interface. WorldPosta CloudDesktop Plugin is designed to be simple for users to use, easy to upload and browse files via a unique interface. Use File Access Control to limit access by unauthorized users. The activity tracker notifies you about file uploads / downloads. WorldPosta CloudDesktop Plugin works with Microsoft Outlook 2010, 2013 and 2016 for Windows. Browse your files, upload & download any item, delete, and share them with your teams. Set the sharing options; generate the sharing link and password or set permission for the other end. View the uploading progress, and insert the uploads to your email message.